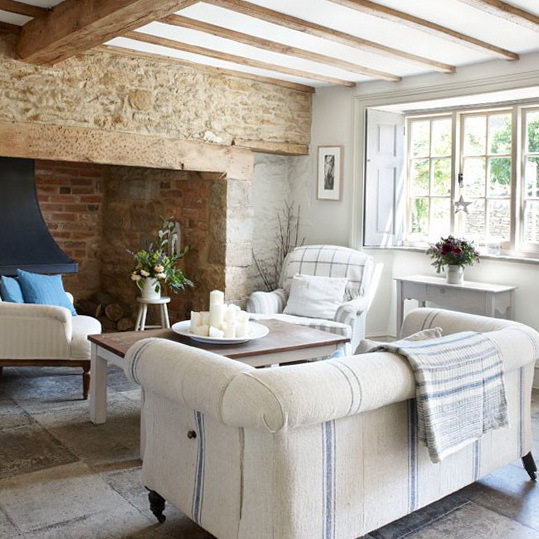 An inglenook fireplace takes pride of place in this traditional living room. 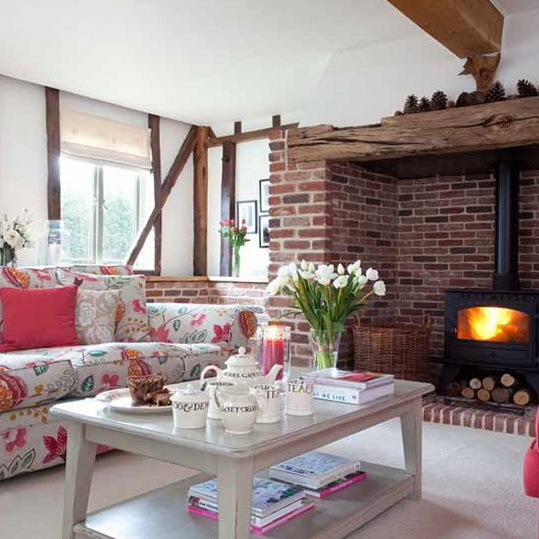 A bright floral sofa keeps the look up to date, while the exposed beams and brickwork give the room a grand country-cottage feel. A neutral colour scheme creates the perfect backdrop for a mixture of eclectic objects to stand out in this living room. 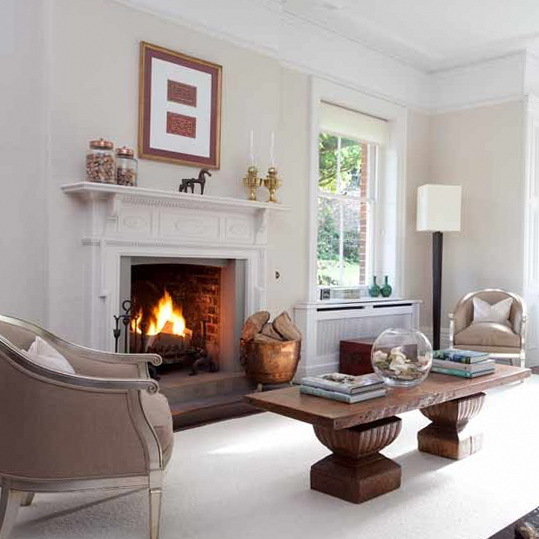 The fireplace creates a traditional focal point, while the furniture is a mix of classic styling and more quirky pieces. Jars of corks are used as unusual accessories on the mantelpiece. 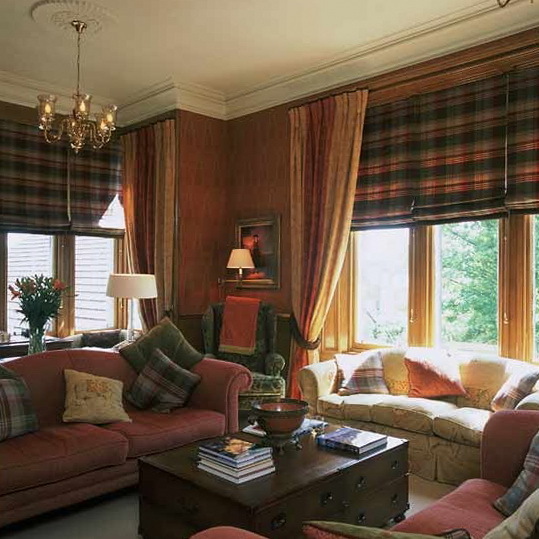 Add some Highland charm to your living room with plaid blinds, thick drapes and plenty of comfy cushions for snuggling up in front of the fire on cold Scottish evenings. Rich wallpaper and a classic chandelier complete the look. 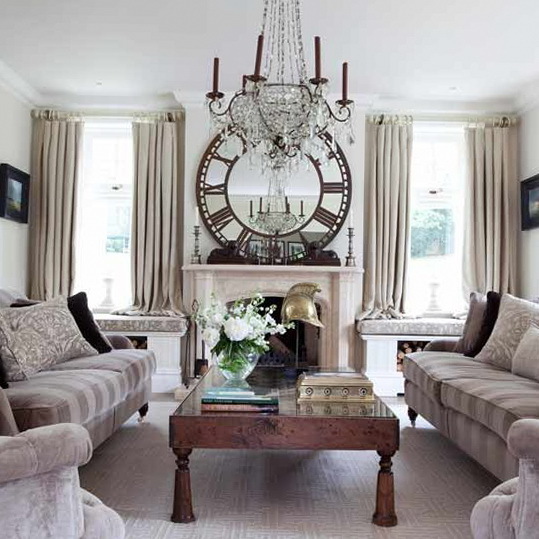 This stunning living room sticks to a muted colour scheme of taupe and beige, but is brought to life with the addition of a grand chandelier and a statement clock-shaped mirror. Formal doesn’t have to mean old-fashioned. 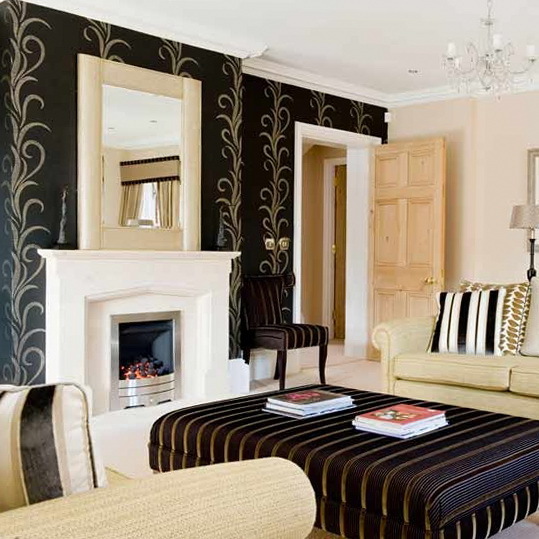 This smart living room has a truly modern feel, with its opulent black and gold wallpaper and contemporary stone fire surround. 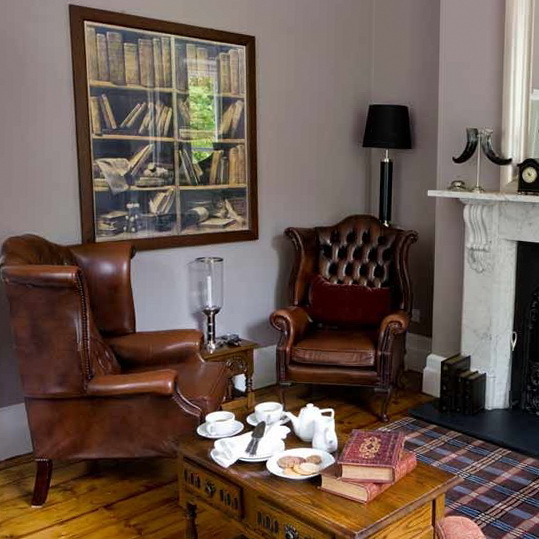 Chesterfield armchairs facing one another by the fire make this the perfect place to ruminate on world affairs – or perhaps just enjoy a brandy. 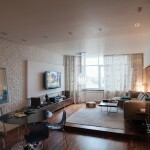 The violet walls add warmth to the room, as does the checked rug. Hints of pink and pastel green create a calming feel in this living room. 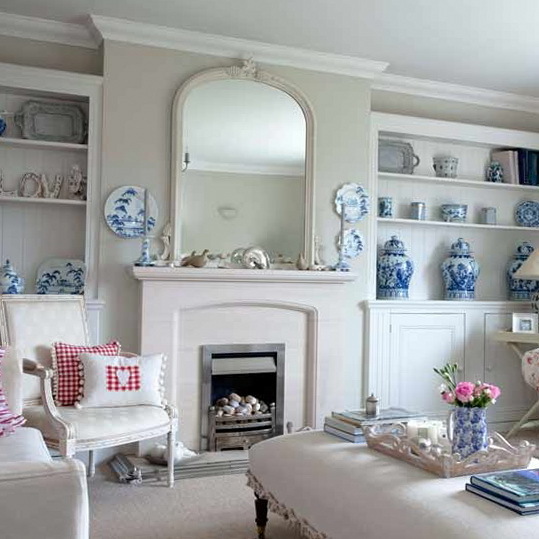 A collection of blue-and-white crockery is shown off to good effect on the open shelving. 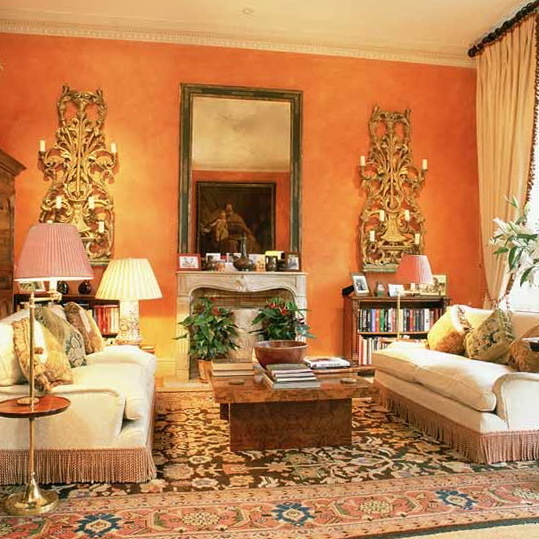 This living room has a distinctly French feel, with antique furniture and accessories bringing opulence to the space. 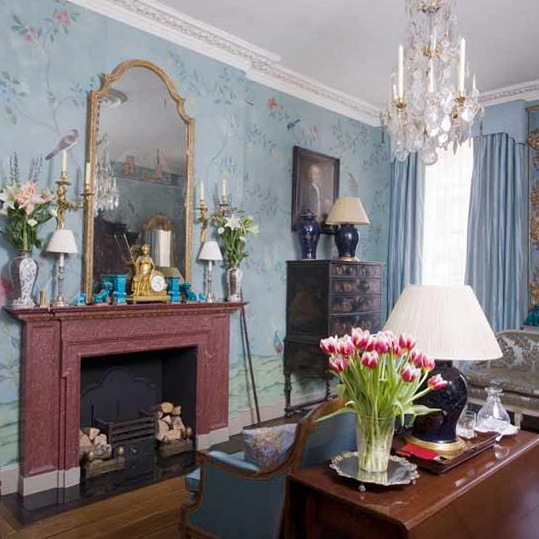 The striking hand-painted wallpaper is perfectly complemented by the crystal chandelier and jade ornaments. 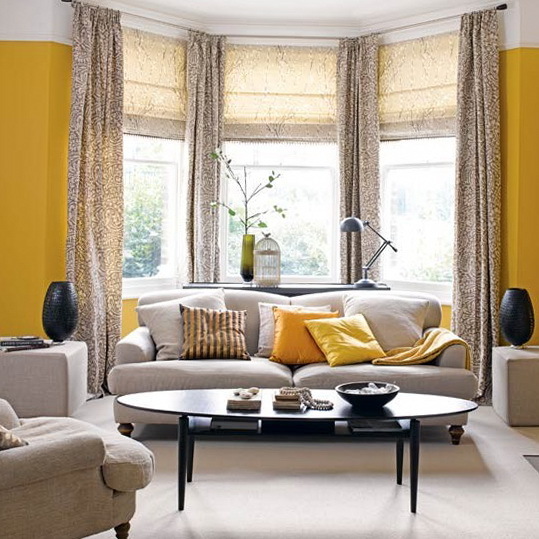 The high ceilings in this room make it perfect for daring orange walls. Ornate candelabra, frilled sofas, heavy curtains and a striking walnut coffee table increase the sense of drama and occasion. 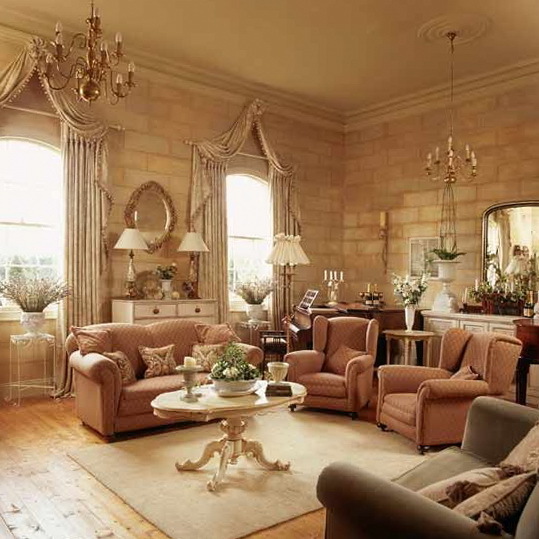 To recreate the feeling of a country chateau, the walls in this living room have been painted to look like stonework. The piano tucked in the corner continues the elegant feel.